What happens over Wetherby racecourse in the dark hours between now and sunrise could decide the outcome of the feature race, the Charlie Hall Chase at 3.35. The BBC’s moving weather map shows rain will fall twice before dawn, though there’s no reliable indication of how heavy it will be. The more the better for supporters of Long Run and Harry Topper, and probably Unioniste. Not only will very soft ground improve their chances, it might seriously affect the likelihood of Benefficient seeing out the trip. I advised twitter followers this morning that Benefficient was good value at 10/1, and he has shortened throughout the day. If the rain stays away, he could go off around 6/1. Apart from Long Run, Benefficient is the only Grade 1 winner in the field (he’s won two of them). He’s a big horse, a Cheltenham Festival winner, who seems to be improving as he matures. Whether that improvement will bring with it the ability to last this trip out against the likes of Long Run, we shall see. If it remains good to soft, soft in places, as it was today, I think he’ll have every chance. Even at 6/1 or so, if underfoot conditions are not too taxing, he’d be worth a bet through the Racing Post App (or William Hill mobile app), as you get your stake returned as a free bet for horses finishing second in Channel 4 races. If it turns very soft, or heavy, Benefficient is probably best avoided, as a serious stamina test will greatly increase the probability of Long Run winning it. Long Run is a fine animal. I’ve never backed him, mainly because I thought he was badly over rated after his first Gold Cup win. 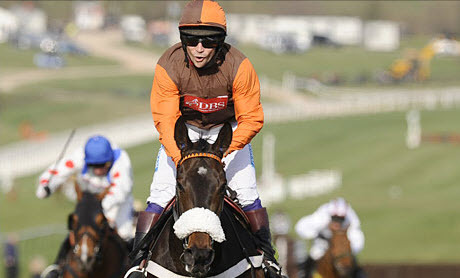 I have no problems with the jockey and I think Sam Waley Cohen takes an awful lot of unmerited flak. His ride on Rajdhani Express at the Festival was a superb one and he’s highly talented. He just doesn’t get the race-riding ‘practice’ of the pros, otherwise, I’ve no doubt he’d be in the top flight. Long Run also has an inclination to leave his hind legs in a fence, especially under pressure. If the ground stays decent and they go a good clip, you could see one or two mistakes from him. I’m convinced he needs a serious stamina test these days. Kim Bailey says Harry Topper is the best he’s had since Master Oats, and it would please many in racing to see KB with another top class horse. Harry Topper beat Benefficient at Newbury, but the Irish horse has improved 18lbs on official ratings since – Harry Topper 12lbs. HT is hugely promising but still needs to prove he is up to this class, whereas Benefficient has his two Grade 1s in the trophy cabinet. However, if it turns very soft, I’ll have a saver on Harry Topper through the apps mentioned above. Of the others, I think Unioniste is a bit of a plodder. At this level, you need to be able to pull something extra out, and I don’t think has it to pull. He’s poor value in my opinion, although he’s another who would benefit from plenty rain. The remainder are thoroughly exposed and outclassed. It’s great to see the top-notchers back at the start of a new season. Let’s hope they all come back safe and sound.